Home → Blog → How to Create a Dating Website Like Badoo? How to Create a Dating Website Like Badoo? Imagine a site which brings about $200 million in annual revenue. Sounds like a dream, right? But the dream can come true with the right approach, just as it has come true for Badoo. Yes, this resource belongs to the best online dating sites and provides its owners with an income that exceeds tens of $millions per year. And now these owners are obviously very happy to have been smart enough to build a dating website. Really, the idea turned out to be extremely beneficial to everyone. The proof of this is that Badoo has been included in the top 200 free online dating sites in the world, according to the report of Alexa Internet, and its traffic ranking is really huge: about 1.5 million unique users per day or 47 million per month. Agree, these results set one thinking! But don’t worry, you are lucky: we know how to create a successful dating website, your own Badoo, so to say. And we're willing to share our knowledge with you. All you should do is follow our tips. Marriages may be made in heaven, but the reality is that today more and more people are trying to find their soulmates in more down-to-earth places, namely - on the Internet. And that's why online dating sites are in so high demand. And Badoo understood in time how to take advantage of this demand - and now it's reaping the benefit of its own efforts! As you may have guessed, Badoo is an awfully popular dating website and even social network which supports a lot of languages and works with users all over the world. The head office is located in Soho, London, but the company itself is registered in Cyprus. Badoo is most in favor in Latin America, Spain, Italy, and France; what is more, in France, it is ranked 52nd in popularity. In July 2011, Badoo has risen to 59th place in the ranking of the most visited sites in the world displacing CNN portal to 60th place. But how did this online dating website managed to achieve such great results? Well, it has its own success story which you had better study - of course, if you want to get your personal dating service of the same level. The history of the success began in 2006 when the well-known Russian businessman Andreev Andrew launched a new start-up. Before that, he had already created such projects as the Internet counter named SpyLog, Mamba online dating service and the contextual advertising tool Begun. So it was high time to pay attention to the Western market. That’s when and why Badoo.com had been developed. The idea was simple and obvious: a social network focused on dating and easy flirting. To achieve the goal, such features as chat, photo sharing, user search, and much more had been implemented. During the year, the online dating service attracted more than 20 million users, and by 2011 their number had reached 110 million. Why is the resource so popular? Because it offers the simplest scheme of work and provides users with comfortable interaction with its services. Let's study the issue in more detail - Badoo experience would be useful to you if you are interested in how to start an online dating site for business. The feature allows you to see which dating site users live nearby. In the settings, you may specify who exactly you want to see here (only girls, guys or maybe both genders), and also choose the age of the candidates (ranging from 18 to 80 years old). Some profiles in the "People Nearby" tab can be displayed with a blue label. These are people whom you have crossed throughout the day with. Badoo also allows seizing an opportunity of the search to find other users (from different cities and countries). The feature displays user profiles which you might potentially be interested in. The dating service of the website selects them based on the user's personal data. To express sympathy, you should swipe right, to go to the next profile - to swipe left. If the sympathy is mutual (that is, two users have swiped right), the system sends them a notification. With the help of swipes up and down, you can also scroll through the pictures of the user, if, of course, there are more than one. This is a completely new feature implemented in August 2017. Now users’re able to communicate in real time by taking advantage of the video chat. Such a wonderful option can come in handy if you’re thinking of starting a dating site business, although, of course, it'll increase the cost of the project several times. And now let's discuss the user flow in great detail! First, the user needs to specify his gender and choose the purpose of registration on the online dating website: to find friends, chat with new people or go on a date. Next, one needs to enter his personal data, and the process can be simplified by integrating his personal data from Facebook. To get to know new people, the user has only to fill in the profile with additional information (such as a place of employment and hobbies) and add some of his photos. Now a registered visitor is allowed to start using the above-described features of the dating website: see which of the people nearby can interest him, take advantage of Badoo's offers (Encounters) or use the search bar to get a more unique and focused search result. In addition, he may visit the tab which shows people who have responded to his liking or who have shown a desire to talk to him. Here a visitor is also able to see the archive of messages or start a new conversation. 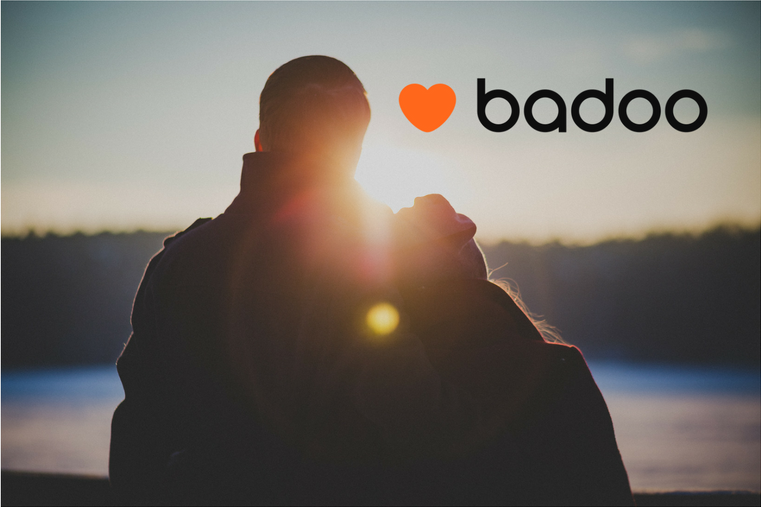 How are the best free online dating sites like Badoo monetized? $ 200 million in annual revenue is intriguing, right? But how has been Badoo earning them? This is an important question, and everyone who wants to understand how to make a dating site should be interested in a detailed answer to it. In fact, the monetization system is genuinely simple: Badoo is availing itself of the freemium model. In other words, you can use the site without payment, but if you want to access some exclusive features - shell out! And as statistics show, many users are willing to pay (and actually paying!) to get a membership. So, what features of Badoo are paid ones? "Super Powers", which expands the user's search capabilities and allows him to see who exactly showed interest in him, etc. Of course, there are a whole lot of other paid features that enjoy no less success with the audience. Curious fact: Badoo allows you to earn money. True, it applies not to ordinary users, but to webmasters who use the partner program of the resource. How much can you make from good online dating sites? We explained to you how Badoo makes money, and now we’ll discuss your monetization options. You should carefully analyze them and choose the ones that suit your case before you start to create your own dating site. And by the way, even free online dating sites can earn good money. You just have to find the right approach. Paid membership. Of course, it's very easy to make money this way, but only at the first blink. Not every user is happy to pay to join membership when there are many free dating site software. That's why Badoo has chosen a freemium model. Freemium model. Well, we’ve described it in detail earlier. Affiliate programs. You can cooperate with resources which offer services that are potentially interesting to your users. We guess, restaurant business, jewelry sites, souvenir, and flower online shops would be happy to place their advertising banners on your web pages. Of course, you'll get your cash bonus! Built-in purchases. Offer users the opportunity to make in-app purchases: they might be glad to buy special stickers, virtual gifts to the candidates whom they like, and so on. The base of e-mail addresses. This is unobvious but still a good way to get the benefit and an excellent reason to find out how to run a dating site. You’ll get a powerful client base which you can use for marketing purposes and making special offers. Summarizing, one can say that Badoo earns about $ 350K (and even more) monthly on one unique user. Of course, the income consists not only of money that paid subscriptions and built-in purchases bring but also of advertising revenue. You are unlikely to be able to immediately achieve the same strong financial performance, but there will be room to grow, that is, you’ll have a cherished goal to achieve. Prefer to develop a mobile dating site (application) instead of creating a dating website? Then you should read how to make a dating app like Tinder. Now you understand how to make money on popular online dating sites, but there is another question left. How much does it cost to build a dating website? Let's consider it! How much does it cost to start a dating website? To calculate the exact cost of creating a dating website, you need to decide on the developers, namely, - with their rate. So, the most expensive specialists live in the US and Canada ($ 100-150 per hour, and more), followed by experts from Western Europe (80 -150 € per hour). The East European developers offer more pleasant prices - $ 20-70 per hour. On the average, a professional dating service (Badoo clone) will cost you about $ 25-50K. Of course, this is an approximate price and the exact cost of global or local online dating sites should be calculated from the required functionality and the technology used. Let's say you can choose a cheaper ready-made solution (open source dating site software would do in such a case) or you can decide that only a unique resource suits your purposes (here you have to find developers who know how to make a dating site from scratch). How can one save money while creating a dating website? Create an MVP model to start. Offer users minimal functionality. Having received the first income, you can add other interesting features. When choosing a developer, decide upon specialists from Ukraine. Their services are quite cheap (no more than $ 50 per hour of work), but the quality of work is very high. All the advantages of cooperation with Ukrainians read in our article. We seem to have discussed all the preliminary issues, and now it's time to move on to the main one among them, namely, to figure out how to launch a dating site. So your question is: how do I build a dating website? We have the answer but let's start with statistics! As you see, a high percentage of people are willing to pay to use of Badoo clone. The main thing is to make sure your resource justifies their expectations. How to achieve this? THE NAME. To come up with the name of your online dating website is a task of paramount importance. Remember, such a name should be easy to pronounce; moreover, it has to match the dating theme… and most importantly, it must be free - unfortunately, many beautiful names have long been occupied by other web resources. HOSTING PROVIDER. Starting to build a dating website, think about what hosting best meets your goals. Not all hosting services offer the same conditions. Provide the possibility of scaling the server! CONVENIENCE. Online dating sites must be extremely clear and user-friendly. A simple registration system, the opportunity to get acquainted with the site without signing up, the advanced search bar - all these factors are important to make an online dating resource successful. THE FILTRATION SYSTEM. The safety of your site visitors is prized above all else, so it is highly desirable to filter the user profiles according to basic criteria: social status, adequacy, etc. In addition, it is important to compile requirements for users of your dating site software in order to resolve all disputes that arise. QUALITATIVE PHOTOS. An important part of the profile is photo content. Therefore, pictures must be qualitative. Be sure to ask users to upload photos of a certain resolution and size. COMMUNICATION FEATURES. Building dating websites includes the provision of high-quality functionality for communication between users: messaging, photo assessment, winks, sending gifts, etc. EXCELLENT DESIGN. The appealing design also helps attract visitors, and your resource will join the rank of most used online dating sites. MARKETING ACTIVITIES. And the last but not least is using marketing techniques. In order to increase traffic, we recommend a comprehensive website promotion. And now let's talk about the features… look at the statistics. The statistic gives a clear idea of what to consider when creating a dating website. But we’re not going to be satisfied with these infographic data. We’ll describe in detail what needs to be taken into account in the dating website development process. Registration. We advise making use of Twitter, Facebook, and Google resources whose personal accounts are popular ways to quickly register in many services and applications. Filters. All best online dating sites offer to install simple filters (location, gender, age) which help users select the people they are striving to see. Of course, it doesn’t help to find users with some specific interests (like botany), but they are great to make the initial selection of candidates. Matching. The human brain decides in a split second whether a person is attractive to us or not, and popular online dating sites use this feature to their advantage. The brain decides whether there is sympathy, and the fingers are already swiping left or right. And communication is possible only between users who have liked each other's profiles. Such a simple approach improves the impression of service and creates a sense of privacy. Notifications, or Real-time Events. The era of unilateral communications when one had to be waiting for an answer during boring hours, has long since passed. Today everyone wants to know at once what is happening at this particular moment, without delays. Therefore, real-time events are an important feature that should be taken into account when creating a dating website. When a user receives a message or a mutual "Like", the information is being sent to the server. And depending on whether the user is online or offline, he immediately gets a push-notification to his device (or email). Additional paid features. Here, it all depends on your imagination and the planned budget. Acquaintance with the project. Dating website development begins with establishing a productive dialogue with the client and clarifying the desired result. The project manager conducts a series of meetings (real or virtual ones) during which goals and key points of the process are being determined in order to achieve maximum project efficiency. Planning. We develop the logic of web pages, demonstrating to the client the layout of the modules and output blocks. You can see how the online dating resource will look like before the coding stage. UI/UX Design. This is the most creative period of the process of starting a dating site business. The designer broods over the creative idea, experiments with the forms of information presentation, and the client chooses what seems right and appealing to him. Coding and testing. It is one of the final stages of the dating website development when the project plan is being implemented. After that, the site undergoes a series of tests on working capacity and preparation for demonstration to the customer. The site launching. After the dating service website has passed quality control provided by attentive QA engineers, our Agilie team releases the web resource - namely, we put it on the Internet. Your site is hosted, it has its own domain, and it is ready to meet first visitors. Post-Release Solution. We always offer individual and original solutions. We provide a plan for further development and optimization of the project, as well as the possibility of contacting our SEO specialists with the goal of increasing the number of unique visits to your resource. How can one attract visitors to your Badoo clone? In addition to the question of how to set up a dating site, there is another one, no less important, namely - how to attract visitors to your resource. SEO optimization. This is one of the best ways to improve your site so that it is highly ranked by search engines. We don’t advise you to indulge in optimization yourself, it is better to find professionals. Link directories. Some people consider the method obsolete, but it is still "right-to-life". Find a few online catalogs which fit your online dating resource (your own Badoo), and publish a link to your site there. One of the advantages of such a promotion method is the opportunity to save money because many directories are free. Facebook. This is a more modern and very effective way to advertise your resource. And you can take advantage of both the free promotion in the social network and paid advertising. Contextual advertising on Google. It's quite an obvious way of promotion, but worth attention. Of course, this is only part of the way to attract visitors to good online dating sites. The best thing is to hire marketing professionals who will develop a detailed PR campaign. So, you’ve decided to create your own dating site resource. What should you do first? formulate clearly the tasks that the future dating site software must solve. identify the unique advantages you’ll accentuate and the dating niche you plan to occupy. Decide on this issue before embarking on the process of on-the-scene dating website development. study your competitors. Think about what you can surpass them in and what competitive advantages you should offer. In extreme cases, if you don’t have any unique ideas, try to surprise users with the design or presentation of the material. Impress and be memorable, but don't cut it too fat. understand the needs of your target audience. It depends on the dating niche you have chosen. Draw a portrait of a potential user and figure out: what does this person expect? What features will fetch him? team personnel. If the company consists of 2-3 people, your cooperation is unlikely to be complete and mutually satisfactory. If you’ need a good IT team, we’d like to offer our services for dating website development. We meet all the said conditions and ask for reasonable prices. Mobile apps for communication are becoming more popular, so what to pay attention to when you make chat app (iOS chat app or Android chat app)? With the right approach, a social networking website becomes a true money spinner. ​Interested? So, our article is meant for you!